We are now seeking a Telecom Senior Design and Commissioning Engineer to join our team in Jakarta who will be responsible to act as commissioning lead of projects with low to high complexity. 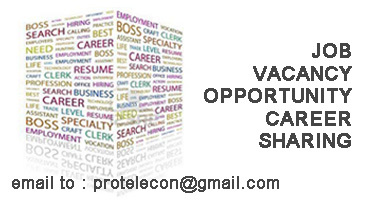 • Generate designs and detailed engineering deliverables for a Telecommunication system engineering discipline. • Configure telecom equipment, translate contract into detailed engineering documentation including drawings, configuration and calculations. • Understand the scope of contract and identify variation requests to support contract claims. • Plan cost estimates and manage the work to deliver agreed program on time, on quality and at targeted cost. • Use standard processes and tools including 2D drafting and telecom software packages. • Assist in creating proposals for engineering projects through provision of bills of materials and estimated engineering hours. • Ensure professional interaction with the customer. • Collaborate with the Supply Chain function and review vendor documentation for standard, familiar materials and equipment. To be considered for this role, you should hold a Bachelor’s Degree in Electrical or Telecommunication Engineering with minimum 5 years of experience in telecommunication system especially in PLN system. Experience of telecommunication system in Power Line Carier, Multiplexer fiber optic system and wide networking system is desired. Experience using Autocad, Vision and E3 drawing tools along with good communication and inter personal skills is preferred.